The anti-Candida diet protocol does seem a little bit restrictive when you look at the list of foods to include in your daily routine. 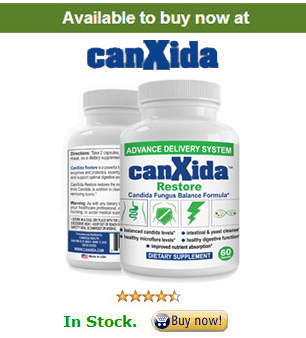 The reality of the situation, however, is that there are tons and tons of foods that can actually contribute to the growth of Candida as well as to the depression of your immune system. While many people who are healthy can eat these foods in moderation with little consequence, those attempting to fight a serious overgrowth need to avoid them at all costs. While vegetables were the largest part of the foods to eat list, there are certain vegetables you absolutely must avoid at all cost. These vegetables, while full of nutrients, contain starches that can easily convert to glucose in your bloodstream. You should be avoiding yams, sweet potatoes, white potatoes, parsnips, beets, and peas. You will eventually be able to reintroduce these foods at a much later stage in your diet, if your body tolerates them. You absolutely must avoid all meats that are cured, processed, smoked, or sealed in vacuum-packs. Fresh meats are good, but you should try to eat organic in order to avoid added hormones and antibiotics. Pork is an absolute NO because of the retroviruses that swine tend to carry as they usually live through cooking. While they don’t bother healthy people, they can cause illness in those with compromised immune systems and digestive problems. No fish except for the ones on the foods to eat list. This means nothing except for wild salmon and the occasional sardine. You must avoid all shellfish. You are avoiding fish because of the high levels of toxins they contain. Anything you do eat needs to be wild-caught and not farm-raised. Sorry. No fruit. None. Zero. No fresh fruit, no fruit juice, no dried fruit, no fruit from a can. NO FRUIT. Fruit is high in sugar, which is the perfect food for Candida to use to grow. Some low-sugar fruits have unidentifiable mold, which also fuels Candida. The only exception to this rule is the occasional squeeze of lemon or lime juice. You absolutely must avoid anything with grains or gluten. This means avoiding breads and pastas regardless of whether they contain white or wheat flour. Rye, oats, barley, spelt, and corn are off limits as well. Corn not only contains sugars, but tends to carry mold as well. Dairy products are off-limits primarily because of the lactose. This means no cheese, cream, whey, buttermilk, or regular milk. The only exceptions are bugger, ghee, kefir, and yogurt. Kefir and yogurt are actually encouraged because the fermentation makes the lactose disappear and because they are high in probiotics – great for fighting your Candida overgrowth. They don’t generally belong in the same category but the common denominator here is mold. Nuts and seeds like cashews, peanuts, and pistachios are high in mold. Many beans and legumes are as well, but are also difficult for a damaged digestive system to deal with. Mushrooms (unless a medicinal variety) can cause a negative reaction in the body because of the fungus. While organic apple cider vinegar is OK, white vinegar is a no-go because of the yeast culture used in production. Most condiments and sauces must be avoided because they either contain sugar and/or vinegar. Peanut oil, corn oil, canola oil, and soy oil are bad because of their exposure to mold. In the case of soy, we also have to worry about GMOs. There isn’t a lot you should be drinking aside from herbal teas and water. Caffeine actually causes a rise in blood sugar and coffee itself is usually exposed to mold. Most decaf coffees and teas actually have caffeine, just at lower levels. You especially need to avoid soda, energy drinks, and fruit juices. In a nutshell, anything else that is processed or contains additives should be avoided. If you can’t pronounce the ingredients, you shouldn’t be eating it – now or moving forward.